A Collection of Anarchic Angling Tales! 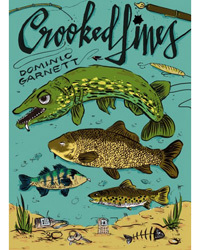 Packed with great stories, original artwork and more twists than a bucket of eels, Crooked Lines is Dom Garnetts wildly entertaining new book. From Britains forgotten waters to the middle of Manhattan, this is fishing as youve never read it before. Complete with exclusive illustrations by Lord Bunn and a foreword from Matt Hayes, this collectible book is the perfect catch for anglers of all persuasions.  Two dozen brilliant, eye opening angling tales.  Stunning photography and exclusive artwork from Lord Bunn.  Foreword by Matt Hayes.
" Sharp, witty and bloody well written... has that rare gift to convey the magic of the sport." " Irreverent, quirky and fresh. An absolute treat." 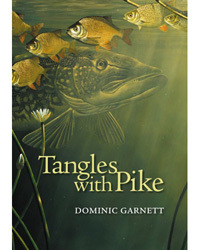 From backwater England to the great lakes of Scandinavia, Tangles with Pike captures the glory of pike fishing, along with a handful of guts. Armed with just a rod, a bag of herrings and his own creaking sanity, Dominic Garnett brings you a selection of fiercely entertaining stories and articles. Spanning several years of original writing along with fresh work, this collection takes you straight to the snaggy edge of the water, where the pike are savage and the truth is as strange as the locals.  134 pages, full colour with beautiful photography.  A collection of fiercely entertaining pike fishing stories and articles.  Stunning imagery and classic articles as well as new and original work.  Thought provoking observations and fresh ideas for your pike fishing.  ONLY 1000 first edition hardbacks will be printed: An ideal gift and highly collectible! 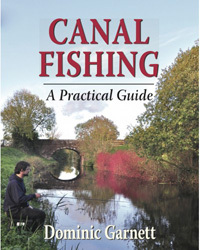 Canal fishing book, hardback angling collectible.